Every patient care facility and hospital must be mindful of Infection Control, dust, and debris. 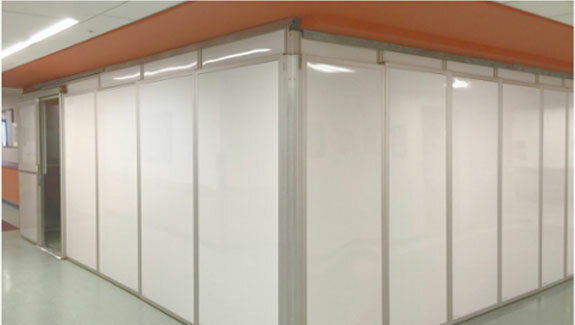 HEPACART™ offers a range of products that can keep renovation, construction, and maintenance areas contained in a way that protects patients and does not hinder staff's ability to provide care. The HEPACART™ line of products can create negative air pressure that captures and filters dust and contaminants so that they are never released into the rest of the building. Check out the featured products below to learn more about HEPACART's solutions. Our best selling ceiling access cart that improves productivity while keeping facilities safe and clean. 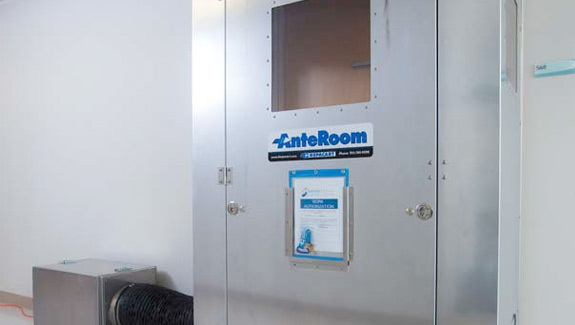 This external aluminum passage-way serves as a secondary vestibule into/out-of any room with a highly contagious patient or as dust containment when a room is undergoing maintenance, renovation, or construction. Can be customized to fit any size door from 28" to 52". Pays for itself after one room application. Meets requirements for most Class IV Infection Control measures when paired with a HEPA-filtration and a negative air machine. STARC® Systems modular containment systems, available through HEPACART™, are a simple, easy to use, and environmentally friendly alternative to other temporary dust containment options. The airtight walls can be configured in virtually any shape while the telescoping design ensures an airtight seal, no matter what the shape or size of the contained space. Plus, the panels are completely reusable and easy to sterilize, which means you can use them time and time again. Each HEPACART™ product is designed to make remodeling, renovation, maintenance, and construction easy and safe. With HEPACART™, anyone can easily ensure a clean environment stays that way. Our products are easily affordable, durable, and portable for maximum efficiency.